Freely given, yet completely undeserved. We can not do anything to earn it; from his love we are lavished abundantly with the Spirit of God. The caveat, so to speak, is we do need to be open to receive it. Grace, though abundantly available, requires our invitation, our willingness to allow God to touch our lives in this magnificent way. 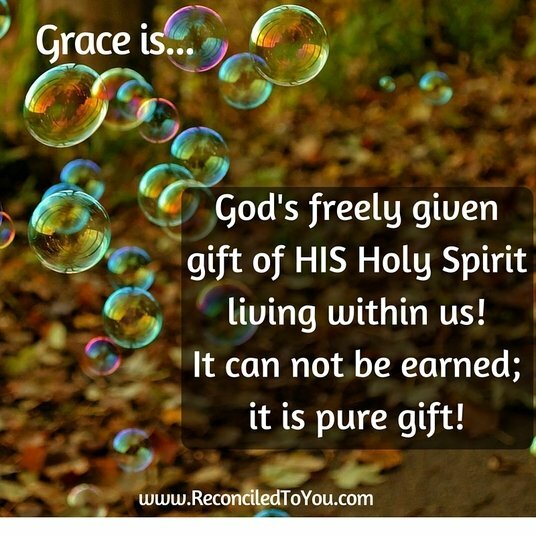 Grace is God’s Holy Spirit in US! 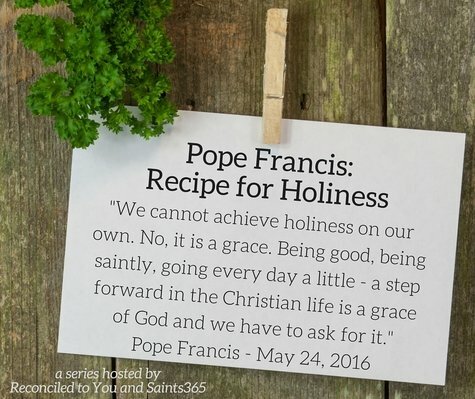 It helps us to choose holiness; including the help we often (read in my case ALWAYS) need to make the better choices that will continually lead us to God and the holy lives we seek – and ultimately to eternity with Him, the Son, our Blessed Mother, and all the angels and saints, in heaven. That evening nearly 10 years ago, not only was I completely unsure how to define grace but I also had no idea how to seek an increase of it within me. It was abundant and freely available; I could not earn it but how did I open myself to receive it? After many more years of studying scripture, the Catechism and spending many hours in prayer and adoration; my heart began to understand that best way to this abundant outpouring of grace was through what I affectionately refer to as “The Grace Trifecta“. As St Paul teaches, I try to incorporate prayer into my every breathe – to ‘pray without ceasing’. I am not on my knees or continually reciting a vocal prayer – but I am ever mindful of God in my life. Consciously aware that it is because of him that I have life; that he is in all things and with me in all circumstances. My first prayer of the day is to ask for his outpouring of grace into my heart so that I may never forget those important lessons; nor miss out on any of the many blessings he has for me hidden in each day! At the core of every Sacrament is an encounter with Jesus Christ. It is impossible to have an encounter with Christ and not be changed. Every time we live out our Baptism; receive or adore him in the Eucharist; or receive forgiveness in Confession – we are changed. One of my favorite aspects of the Sacraments is how they interact with our senses. Catholicism is a full-body sport! In living a sacramental life one smells our prayers raising to heaven on the smoke of the incense; we see the body of Christ in the Church; we taste his body and blood in the Eucharist. 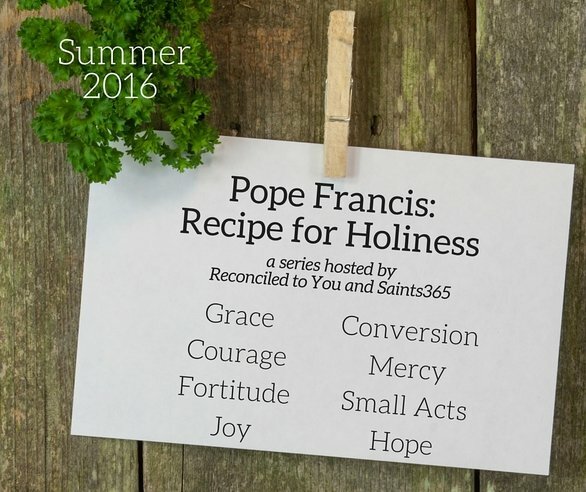 We hear the call to holiness in the hymns, chants and prayers. We feel the touch of Christ in his priests during the anointing of Baptism, Confirmation and the Anointing of the Sick. The Sacraments clearly bring us to our senses – and in doing so we are open, prepared and do in fact receive grace. Abundantly. God gave us Jesus to redeem and save us… out of love. That Word is revealed in the scriptures. IF then we read the Word of God (aka Scripture) than it is infused by it’s very nature in God’s LOVE. IT is from love that God sends us HIS Holy Spirit to abide in us – that love that is manifest in an outpouring of his abundant grace. So therefore reading the scripture opens our hearts and minds to the gift of grace. It is also an encounter with Christ – and I will reiterate – it is impossible to have experience with the Son of God and remain the same person. You will always walk away changed for the better … and that is grace!